Hi, I am Evie Smith, a Milton Keynes based photographer who specialises in intimate boudoir photography. My goal is to empower every woman that walks through my studio door by taking you on a voyage of discovery of yourself. 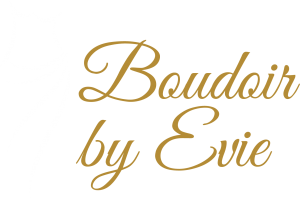 Boudoir photography is for everyone whatever your shape, size or age. I provide a confidence building service in a friendly and private environment. Every photo shoot is relaxing and a lot of fun where you can discover the inner you without stress. You will feel pampered from the moment you walk through our door. Throughout your shoot you will be helped to get the poses and even if it is your first time in front of the camera you will soon be completely relaxed. This is an opportunity for you to fully explore your own sensuality. Our clients come from a wide area as we cover Buckinghamshire, Bedfordshire, Hertfordshire, Oxfordshire and Northamptonshire. People travel to us from Northampton, Bedford, Luton, Oxford and many other towns within the counties above. Take A Look and Book Your Experience Today! © 2019 , Boudoir by Evie . All rights reserved.